"Part of what makes Stony Special." 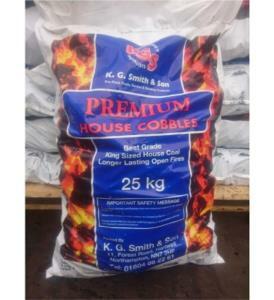 House Coal is a traditional but still popular choice of fuel for real fires. It is very easy to lights and burns brightly for a long time. These low ash, high heat output cobbles are suitable for open fires and multi-fuel stoves. Not suitable for burning in a smoke controlled area. Suitable for open fires and multi-fuel stoves. We're sorry to say, this product is currently only available for collection from store, or local delivery. Please select collect from shop in delivery options, or enter a local delivery postcode.